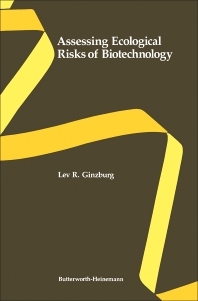 Assessing Ecological Risks of Biotechnology presents a comprehensive analysis of ecological risk assessment for biotechnology as viewed predominantly by scientists doing research in this area, but also by regulators, philosophers, and research managers. The emphasis is on the ecological risks associated with the release of genetically engineered organisms into the environment. The book contains 17 chapters that are organized into four parts. Part I discusses the ecological experience gained from previous biological introductions. Part II explores the ecology and the genetics of microbial communities. Emphasis is given to the transport of microorganisms since one of the major ecological concerns about biotechnology is the danger of the spread of genetically engineered organisms to ecosystems other than the one to which they are released. Part III reviews mathematical models that can be used for ecological risk assessment at four different levels. Part IV concerns the regulation of biotechnology, current research trends, and social values.